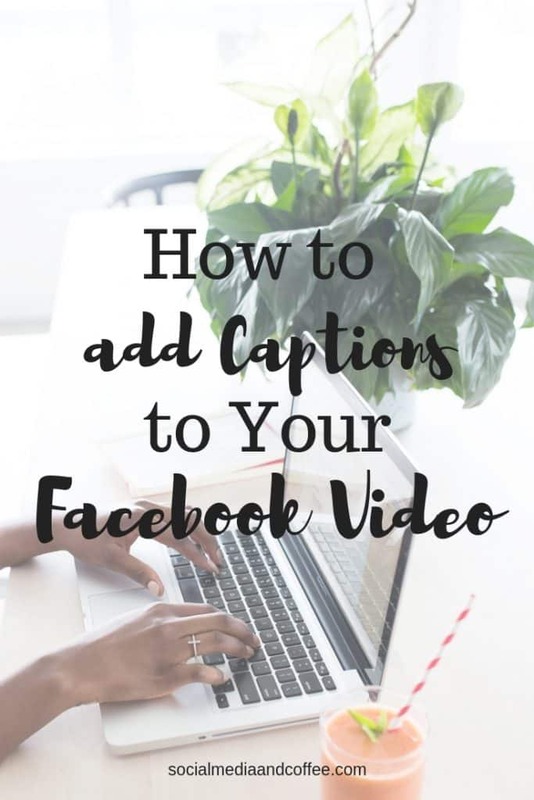 Are you looking for a simple way to add captions to your Facebook video? 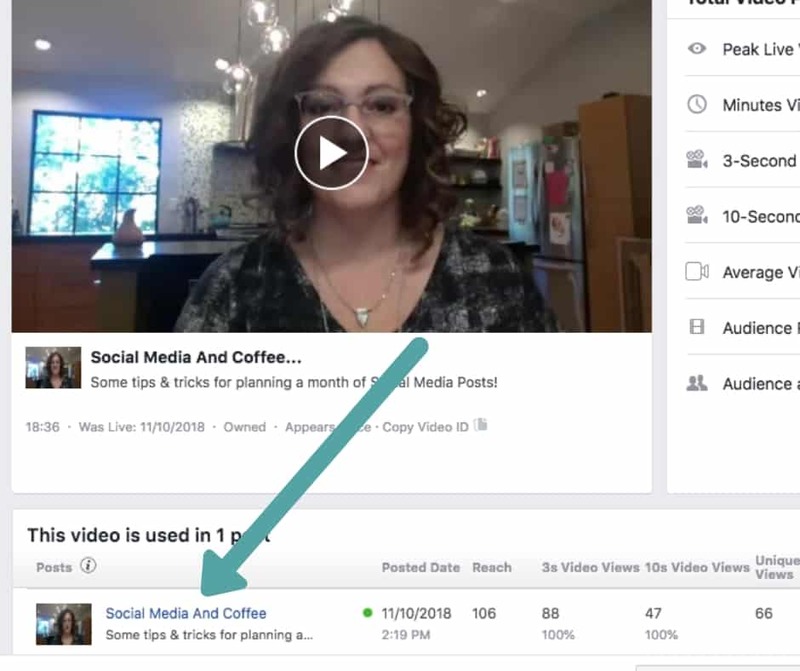 A recent study showed that as much as 85% of videos on Facebook are watched with the sound off! Perhaps people are watching somewhere where they can’t have sound on, or they just prefer to watch it silently. Or maybe they know that if video sound is played, their children will run from all corners of the house to come watch with them… (and yet, somehow these same kids can’t hear a call to come clean up their mess.) Just me? Either way, it’s clear that putting CAPTIONS in your Facebook videos is mandatory. Luckily, Facebook makes it pretty simple to add and tweak your captions. You can put them in videos as you load them or on previously posted videos. Click on the “Videos” tab on the left-hand side. Then click on Video Library. 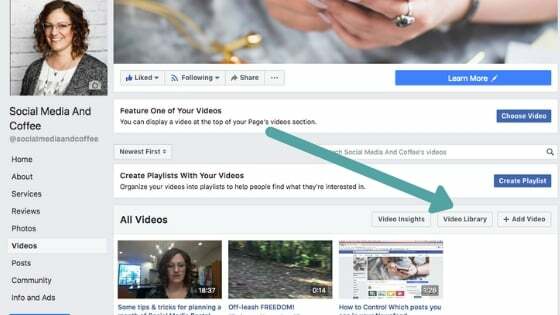 Now you’ll be able to see published and unpublished videos. Published (or previously posted) videos have a green dot beside them. Unpublished videos (ones you’ve loaded, but have not yet posted) have a yellow dot. Select the video that you want to add captions to. A new window will pop up. Go down to the name of the video and hover there. An “Edit” icon will show up. Click on that. On the right side of the Editing window, scroll down to “Subtitles and Captions.” Select that. Now you can select your language, and whether you want captions auto-generated. NOTE: this makes the initial adding of captions very quick, but you MUST edit them. Oftentimes some words are not correct, or you didn’t want every single “ummmm” captioned! Click on the pencil icon beside auto-generated. Now is the nitty-gritty of the process! Watch through your video by clicking the play button. Pause every slide or so and quickly edit the text. Add punctuation, capitalize, etc. You can edit the captions on the right-hand side of the window. Watch through the entire video and make sure it’s all correct. When you have your captions just right, click on “Save draft” at the bottom of the window. Click on “Save” at the bottom of the next window. That’s it! 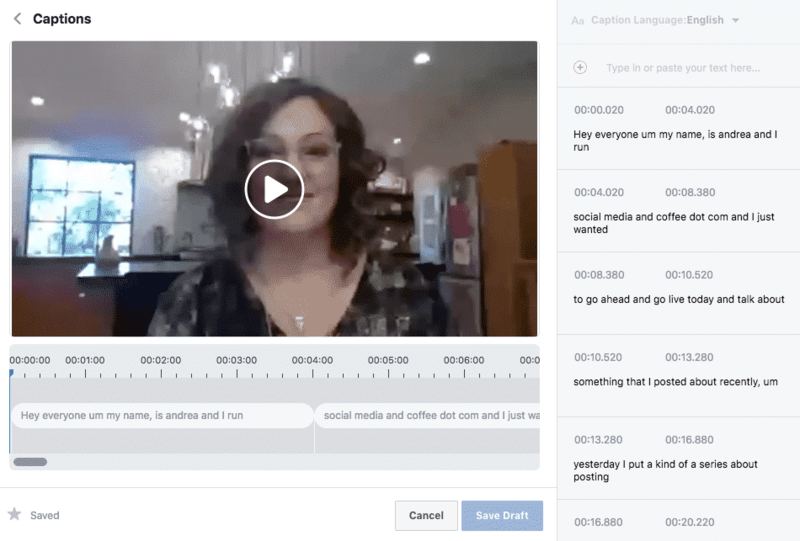 Your video will now play with perfectly transcribed captions. This process is very similar to the last one. 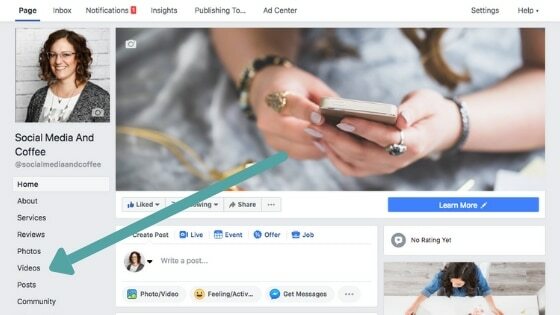 Click to add a new post. Select the video you would like to upload. 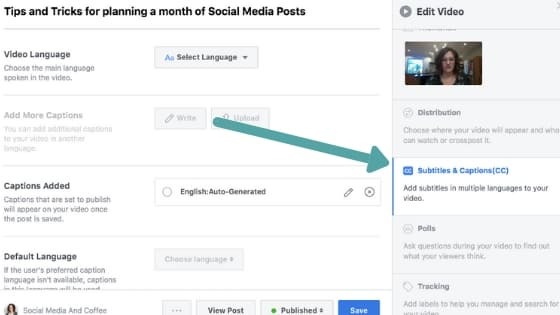 Once it’s selected, a window will pop up where you can give your video a title, add some text that will go above the video, and then several options on the right-side as well. Click on “Save” at the bottom of the net window. You now have a video that will play beautifully to the 85% of people who are watching with the sound turned off! Want to remember this? 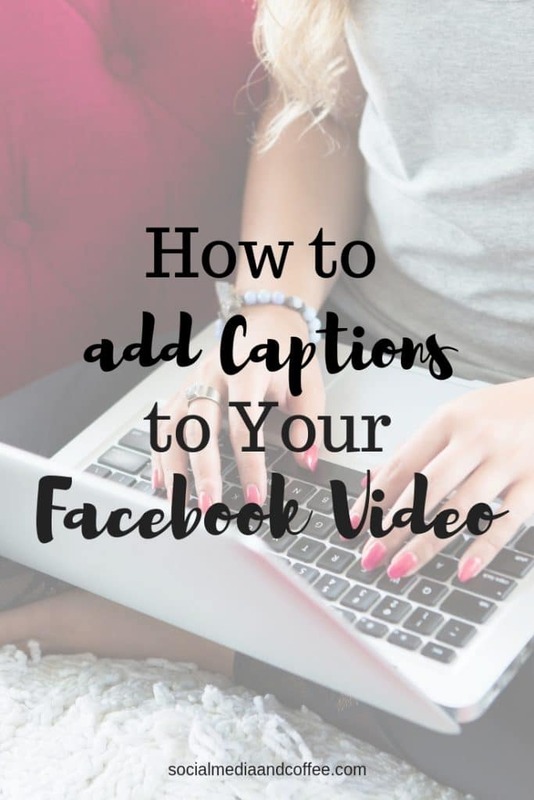 Post this How to Add Captions to Your Facebook Video article to your favorite Pinterest board! 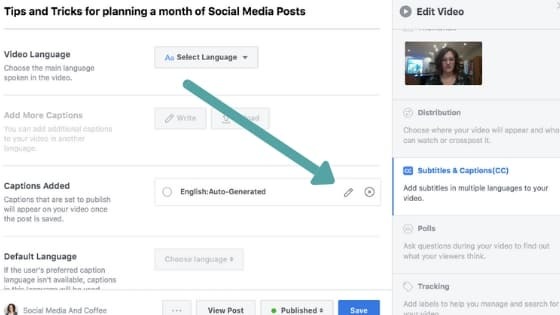 Facebook changed caption editing in the last few months or so and now it’s TOTALLY annoying… to have to go over and pause it and then edit and pause it and then edit… OMG it’s driving me crazy.. don’t think your article addresses this? It used to be you could hit pause video while editing… now it just starts playing no matter what I do and rearranges where I am in the captions! I am ready to throw Facebook in the trash! argh! You’re not the only one to notice that change! Definitely slows down the process. Hopefully that will be a feature we will be able to easily find again soon.